description: A short film recorded in slow motion, played non-stop in a very simple and symbolic way, showing the idea of an unclean conscience. 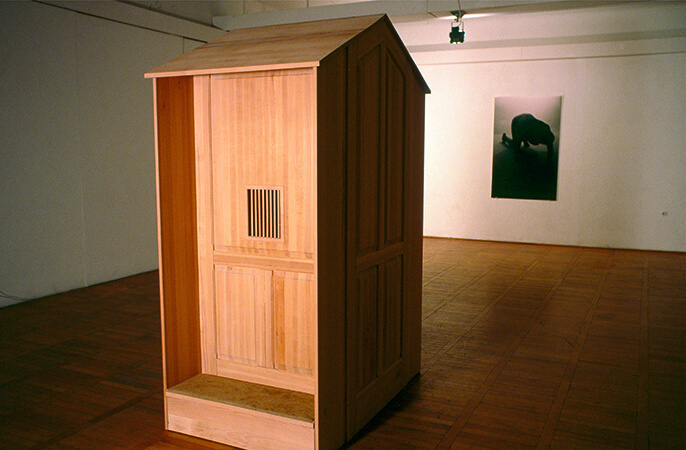 The wooden confessional creating the center of the installation was designed as a kind of prison, a one-person cell for the sinner, a place that makes the weight of wines more aware. Black - white photography with a human figure (of unidentified gender), crawling on the ground - evokes the symbol of the fallen soul. 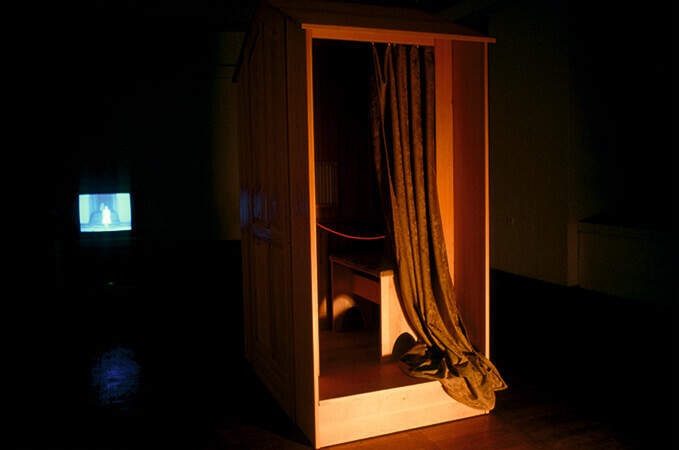 Three objects placed at a distance to each other form the whole installation in a dark, separate room.